It's that time of year!!! The fall peony planting season has come! I got my first shipment of fall peonies today. 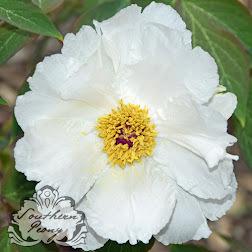 It was from Hollingsworth Peony Nursery. It seems like it came about a month earlier than any of the other orders I've ever placed with them. I ordered a Peony 'Lafayette Escadrille' and a Peony 'Pehrson's Violet Frisbee' from them. I have been wanting 'Pehrson's Violet Frisbee' since 2007. That was the last time I remember Hollingsworth offering it, but it was sold out by the time I tried to order it. So when I saw them offering it again this year, I quickly ordered it. 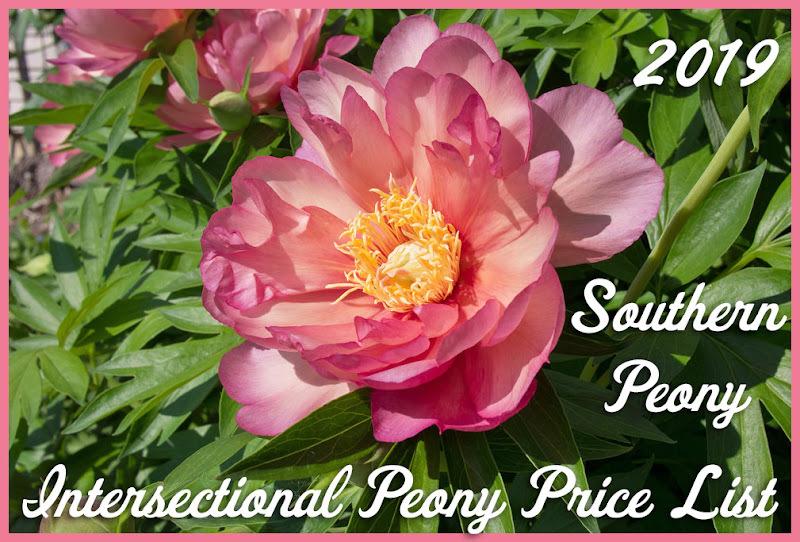 I have been wanting 'Lafayette Escadrille', an intersectional peony, since last year when I ordered it from Song Sparrow, but then I got a notice that they couldn't ship it since it was sold out. That was kind of disappointing, especially since Song Sparrow had offered it for $8.00 less than Hollingsworth did this year. 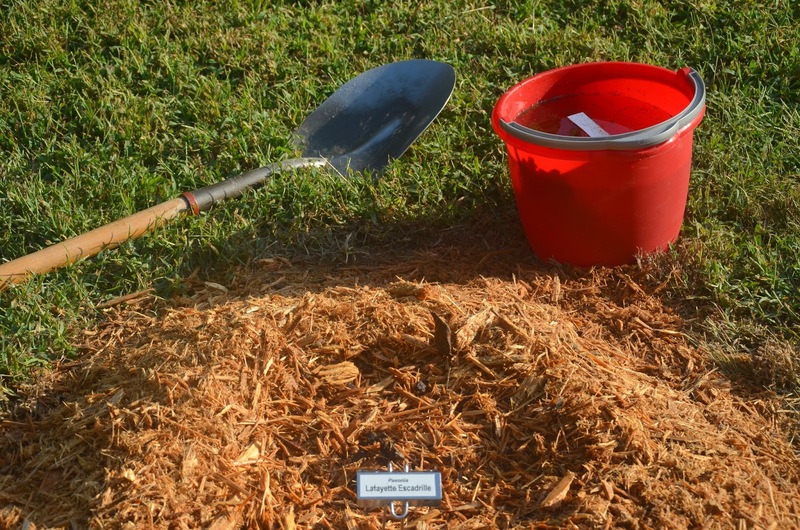 When I received the box today, I opened it and let the roots soak for a hour or so while I dug the planting holes and mixed in some lime and organic fertilizer. Then I planted them as soon as I'd finished digging the holes and mixing in the additions. I'll be curious to see if either one of them sends up a bloom for me next spring or waits a couple of years to settle in. If you haven't gotten your 2013 peony orders in this year, there's still a little time. Soon you'll have to wait until 2014 to place an order. So get your 2013 peony order in while you still can!